Like many of our Patients Susan thought Dentures were her destiny. 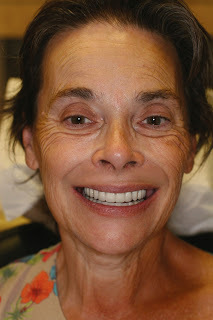 She had been to other Dental Clinics and was told that she did not have enough bone for conventional Dental Implants. She had spent thousands of dollars on Bridges, Crowns, and Dental Implants that failed, but was determined to find a Dentist that could offer a solution that would give her the freedom of a permanently fixed bridge. Mini Dental Implants, and removable Snap-in Dentures where not an option. Dr. Golpa and the Team at the Golpa Dental Implant Center where able to fulfill Susan’ s dream using the affordable procedure called the All-on-Four. In a relatively painless 1-Day procedure Susan’s life was forever changed with beautiful, permanently fixed teeth that will last a lifetime! 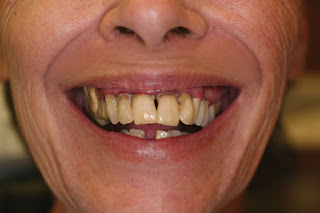 In general, dental implants are not covered by dental insurance at this time. Coverage under your medical plan may be possible, depending on the insurance plan and/or cause of tooth loss. Detailed questions about your individual needs and how they relate to insurance will be discussed at your initial consultation. Dental insurance is a benefit negotiated by the insurance company and usually your employer. In that negotiation, reimbursement for dental implant surgery, implant abutment, and implant crown may or may not have been included in the plan. You would be best to ask your HR department or to call your insurance company to find out what your coverage is and at what reimbursement level. Many dental policies only cover $1000 per year, so even if you stretch the treatment over two policy years you will have to some out of pocket. And always remember that insurance companies make money by NOT paying out on claims, so expect them to drag their feet. We enter the claims electronically and we can often get an estimate of your benefits quicker, so you can have an idea of what you will have to pay out of pocket at your initial consultation. Over the years, changes in dentistry have appeared to come slowly, with many practices unable or unwilling to stay abreast of important advances in technology, including billing practices and expertise. However, Dr. Golpa has devoted his career to integrating the latest, most innovative of these advances into his practice. Patients benefit from medical cross-coding because of the more favorable copayment terms offered by the average medical insurance. Typically dental plans will cover 50% of the procedural costs. Most medical plans offer a more generous copay, with 80% of reasonable and customary charges being common. 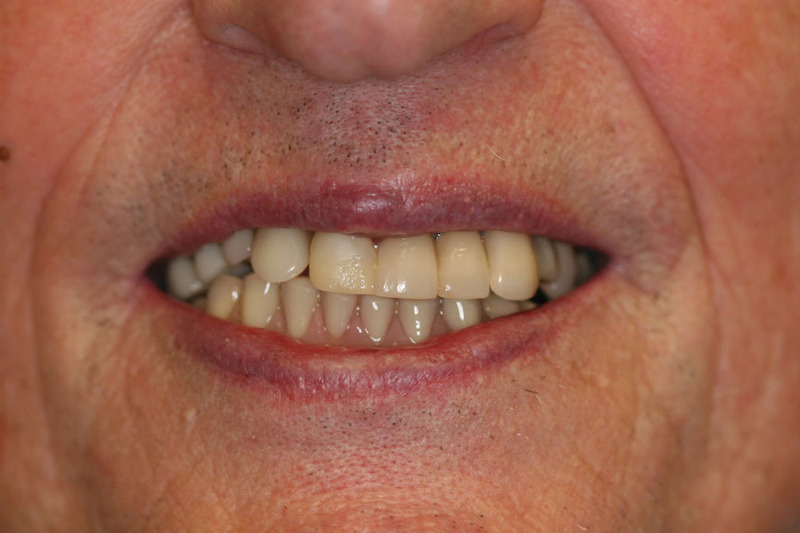 We can offer patients that level of savings on major procedures that are more likely to be medically sensible decisions, like the "all-on-4 Dental Implants Procedure. Most dental policies have a limited yearly benefit, while medical policies typically have annual deductibles. Once the deductible is satisfied the plan will continue to pay benefits unless the patient reaches a lifetime maximum benefit. When we bill the medical insurance for oral health procedures that are medically necessary it leaves the dental benefits available for non-medical procedures. This advantage cannot be overstated when you consider that an average dental plan may only pay $1,500 in dental benefits, which can easily be consumed in a single root canal or crown. Deciding to have cosmetic surgery is an important and often critical choice. When that time comes and you are looking for the finest cosmetic dentists in Las Vegas, look no further than our cosmetic dentists. 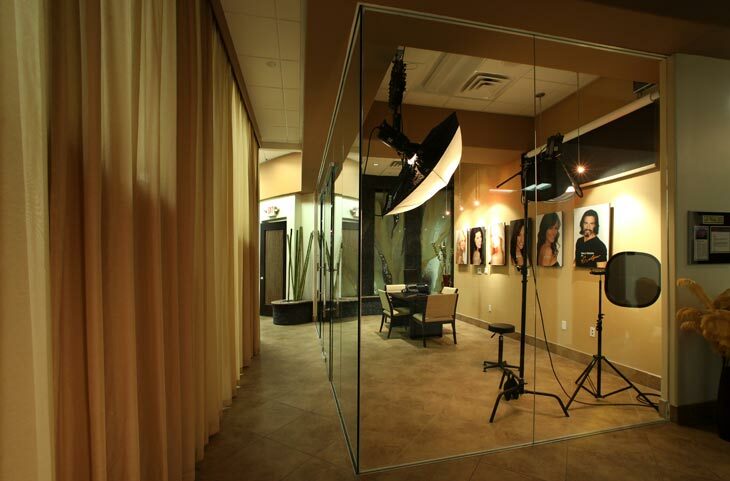 Our unique center of excellence represents the perfect combination of art and science, helping us deliver the finest cosmetic dentistry services in Las Vegas. Employing only the most advanced technology, Dr Mike Golpa can give you the breathtaking, head-turning smile that you have always wanted. From basic dental implants to advanced cosmetic dentistry, we offer a full range of services. For some, dentistry and cosmetic dentist services are a necessity; for others, they are more personal choices. Whether your reasons are purely aesthetic or medically required, our comprehensive cosmetic dentists will soon have you appreciating why Smile Designs is the most prestigious dentistry clinic in Nevada. After years of experience, Dr Mike Golpa and his team are proud to offer leading edge techniques and the most satisfying dental services that you will ever find. 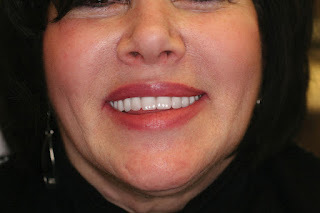 Rejuvenating your smile and enhancing your teeth can be a life changing process. 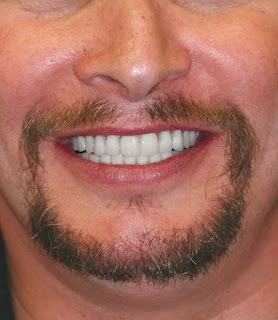 Dr Mike Golpa has always considered dentistry and cosmetic dentist services as such. It is thanks to this combination of professional care, cutting edge techniques, advanced dental technology and a commitment to each and every client that our cosmetic dentists compose the leading team in the city for dental implants, cosmetic dentistry and full mouth reconstruction. Add to this our use of the finest materials and a team of highly respected lab technicians and you will soon see why Smile Designs leads the way in premier cosmetic dental services. 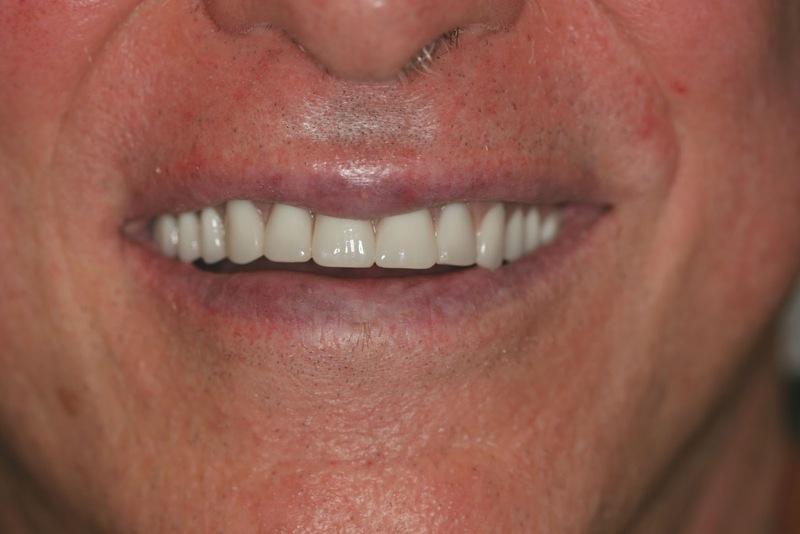 For a stunning smile, a radiant appearance and eye catching results, trust Dr Mike Golpa and Smile Designs, the finest dental implant and cosmetic dentists in Las Vegas and Los Angeles. Call us today and set up a professional consultation for all your cosmetic dentistry needs. We have seen Dental Implant practices use terms such as “Free Dental Implants”, “Low-Cost Dental Implants”, and “Cheap Dental Implants in an apparent effort to deceive patients. At smile designs by golpa, while we have lowered our fees during these economic times, we feel that our quality, experience and reputation speak for themselves. let’s face it sometimes you get what you pay for, and what seems like a bargain can end up costing you more in aggravation, pain and suffering. If you are considering Dental Implants, All-on-4 Implants, or Teeth-in-a-Day there are some things you should know about the Dentist, Practice, or Surgeon performing the procedure. We have noticed over the past several years that most Dentists are trying to get into the Dental Implant market. It is like, when the Las Vegas housing market crashed, every Lawyer now does “short-sales” or “modifications”. 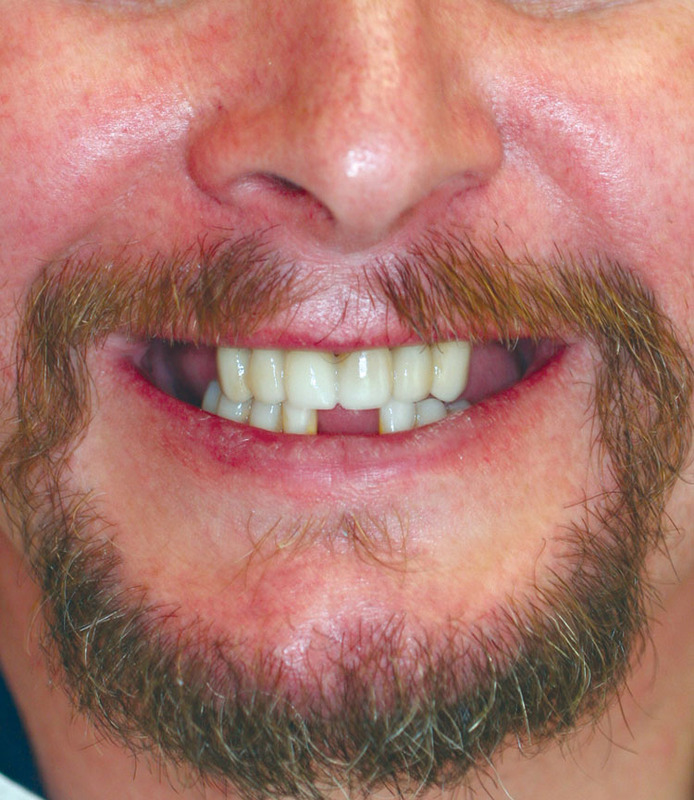 It is the same in Implant and Cosmetic Dentistry, some Dentists lacking the experience or restorative knowledge of Cosmetic Restorations, or Full-Mouth Reconstruction are trying to capitalize on Patients Dental problems. 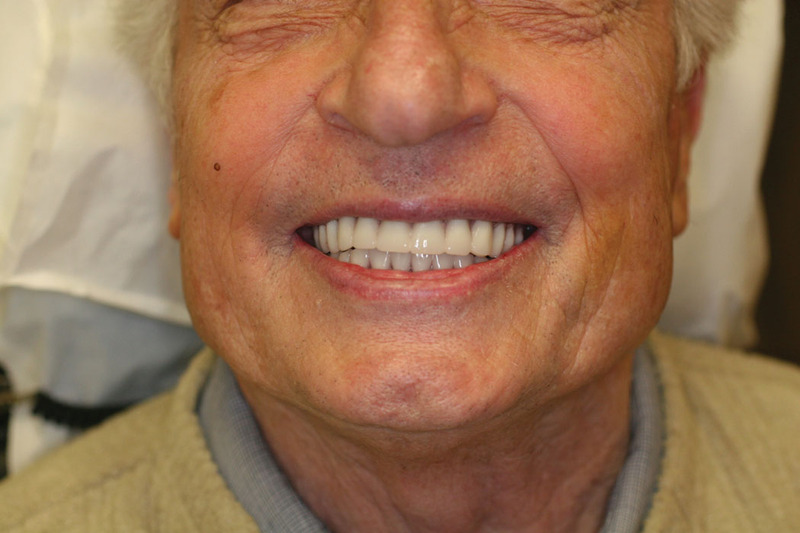 In an effort to inform Patients Dr. Golpa has created the following check-list to consider when looking for Dental Implants or Cosmetic Dentistry: 1. EXPERIENCE How long has the Dentist or Practice been performing Dental Implant, Cosmetic, or Full-Mouth Reconstruction Procedures? ASK TO SEE THEIR CREDENTIALS! 2. BEFORE AND AFTER PICTURES and VIDEOS Does the Dentist or Practice have Before and After photos of Actual Patients? 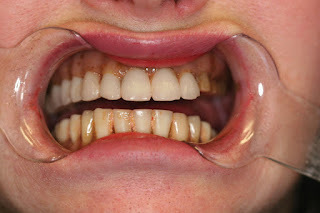 MANY DENTIST USE STOCK PHOTOS! 3. REFERENCES Can the Dentist or Practice put you in contact with their Patients, so you can personally ask questions about their experiences? ASK THE PATIENT SITTING NEXT TO YOU! 4. PEER REVIEWS Look into the reputation of the Dentist or Practice, are they respected in the Dental Community? ASK FOR NAMES, GOOGLE™ THEM! 5. THE OFFICE & STAFF Does the office have the latest technology, state-of-the art equipment, a professional staff, and an appealing ambience? Does the office or practice provide Patient amenities? CUT RATE SERVICE = CUT RATE DENTISTRY! When it comes to your oral health, your self-esteem, and your overall well-being we encourage you to investigate before you decide. When it comes to Dental Implants and Cosmetic Dentistry sometimes we get what we pay for, unlike buying paper-towels, or laundry detergent, where sometimes the “bargain brand” will do, making an investment in your-self should never be a sacrifice. Dr. Golpa spends a considerable amount of time correcting the mistakes made, when Patients tried the “bargain brand” or are unsatisfied by a “one-size-fits-all” approach. Unfortunately, this results in increased costs and aggravation for the Patient who took a “chance” with an inexperienced or unscrupulous Dentist or Practice. AT MANY PRACTICES WHEN YOU GO IN FOR A CONSULTATION YOU MAY NEVER EVEN SPEAK TO THE DENTIST, INSTEAD YOU WILL SIT IN FRONT OF A FINANCE OR SALESPERSON WHO'S ONLY GOAL IS TO EXTRACT MONEY FROM YOU! WHEN YOU COME IN FOR A CONSULTATION WITH DR. GOLPA, HE WILL TAKE THE TIME TO LISTEN TO YOUR CONCERNS AND EXPLAIN YOUR OPTIONS. TOGETHER, YOU AND DR. GOLPA WILL CHOOSE A COURSE OF TREATMENT THAT WORKS FOR YOU! Dr. Golpa has performed dental implant procedures for nearly two decades and has become a leader in the Las Vegas area because of his expertise in the field. He has studied under the pioneer of the All-On-Four protocol, Dr. Paulo Malo. Every patient is different and can be complex due to health issues and unique bone conditions. But, Dr. Golpa has seen it all and can provide each patient with a solution that will be safe and effective for them. Furthermore, the Golpa Dental Implant Center is fully equipped with imaging equipment, an on-site lab and an experienced team to provide you with the best care possible. FOR THE '''ALL-ON-4 DENTAL IMPLANT PROCEDURE, Our fees are an average 0f $7,500-$12,500 per arch, lower than most providers. The average fee for the “All-on-4″ procedure is $25,000-$35,000 per arch, our average fees are $14,500-$19,000. Many practices use a “team” of specialists to perform the “All-on-4″ procedure, or you are referred to a “team” of specialists, when this happens every member of the “team” must get paid! This results in higher costs for the Patient. Dr. Golpa expertly performs every aspect of your oral rehabilitation, from your initial consultation, to the day you leave with your beautiful new teeth. Dr. Golpa only answers to one person, You. Our fees are also lower than traveling to countries like Mexico or Costa Rica, when you factor in all the fees involved, not to mention the hassles and dangers of foreign travel. 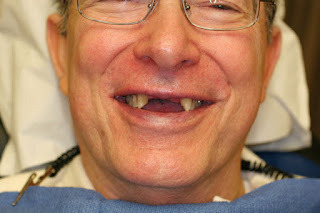 Before you have any teeth removed, come in for a second opinion! When you compare our fees it’s easy to see why Dr. Golpa’s Dental Implant Center is the Clear Choice for Teeth-in-1-day! What makes Dr. Golpa qualified to perform All-On-Four procedures? Dr. Golpa has performed dental implant procedures for nearly two decades and has become a leader in the Las Vegas area because of his expertise in the field. He has studied under the pioneer of the All-On-Four protocol, Dr. Paulo Malo. Every patient is different and can be complex due to health issues and unique bone conditions. But, Dr. Golpa has seen it all and can provide each patient with a solution that will be safe and effective for them. Furthermore, the Golpa Dental Implant Center is fully equipped with imaging equipment, an on-site lab and an experienced team to provide you with the best care possible. Our fees are an average 0f $7,500-$12,500 per arch, lower than most providers. The average fee for the "All-on-4" procedure is $25,000-$35,000 per arch, our fee is $17,500 for 1 arch or $34,000 when both arches are done at the same time. Many practices use a "team" of specialists to perform the "All-on-4" procedure, or you are referred to a "team" of specialists, when this happens every member of the "team" must get paid! This results in higher costs for the Patient. Dr. Golpa expertly performs every aspect of your oral rehabilitation, from your initial consultation, to the day you leave with your beautiful new teeth. Dr. Golpa only answers to one person, You. Our fees are also lower than traveling to countries like Mexico or Costa Rica, when you factor in all the fees involved, not to mention the hassles and dangers of foreign travel. Before you have any teeth removed, come in for a second opinion! When you compare our fees it's easy to see why Dr. Golpa's Dental Implant Center is the Clear Choice for Teeth-in-1-day! Dr. Golpa has been performing dental implant procedures for nearly two decades. The All-On-Four protocol was pioneered in Europe. Published papers began appearing around 1994. At the time, it seemed a radical concept defying many long held beliefs. Dr. Golpa was immediately intrigued by the concept, though skeptical, and began following the literature. After reviewing 10 years of published data suggesting astonishing results, primarily from Dr. Paulo Malo the pioneer of the All-on-Four technique, Dr. Golpa began to believe that perhaps this young surgeon from Portugal might be on to something. In 2005, Dr. Golpa was privileged to be invited to a lecture given by Dr. Malo in California. After meeting Dr. Malo, studying his body of evidence, and questioning his methods, Dr. Golpa was convinced that this was a compelling new method for alleviating the crippling effects of total tooth loss. Dr. Golpa asked Dr. Malo if he could come to Portugal and study with him and he agreed. Early in 2006, Dr. Golpa went to Portugal and began an in depth study of both the surgical and prosthetic protocol. 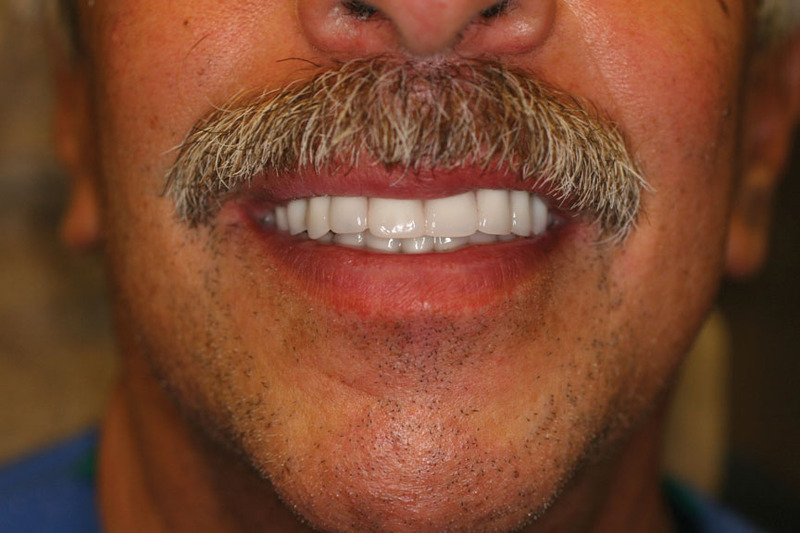 Immediately upon returning home, Dr. Golpa began offering this procedure and now works with All-on-Four cases routinely with patients from all over the world. He feels that, in most cases, it provides a better and more permanent solution for his patients. 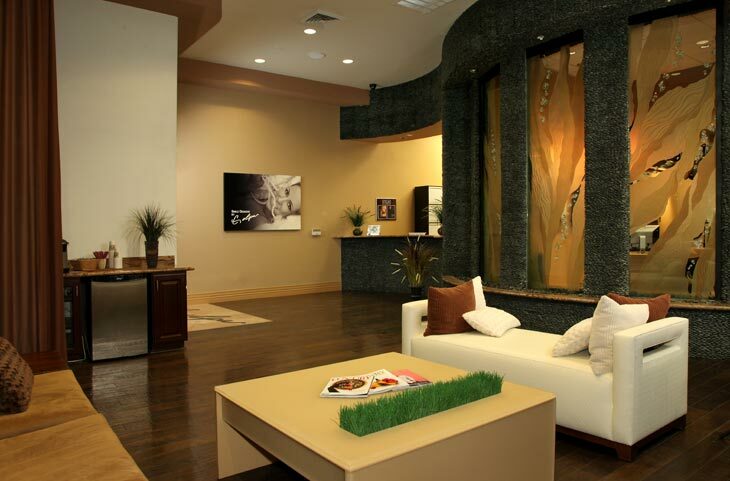 Dr. Golpa is one of Las Vegas's most highly regarded Cosmetic Dentists. 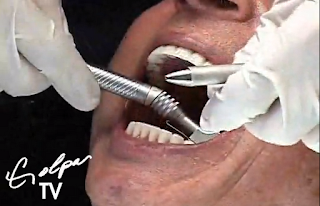 For nearly two decades he has been combining the artistry that creates a beautiful smile and the science that ensures cutting edge techniques. 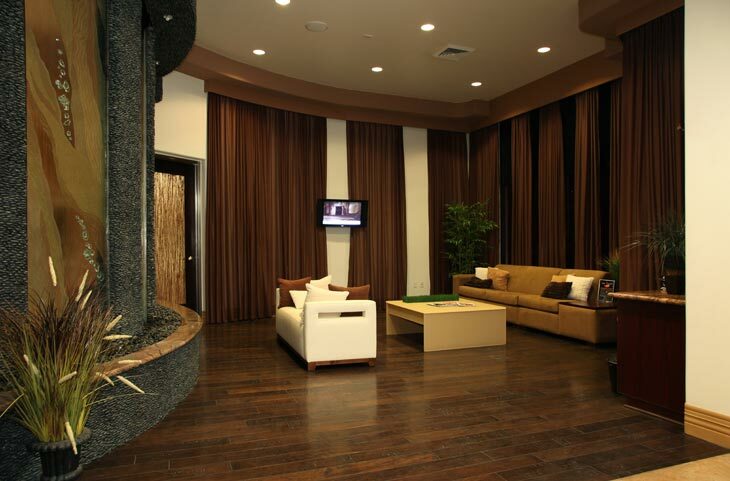 All patients are unique in their needs, our goal is to provide treatment that is tailored to you. At large "corporate" dental businesses, their goal is to extract your teeth and attach your new teeth. That is all they do! Dr. Golpa's goal is to educate you about your options, save your teeth if possible, and provide you with a solution that creates the most aesthetic results possible. Dr. Golpa then personally follows up with all patients to insure that you are happy with the fit, function, and aesthetics of your new smile. Before you have any teeth removed, come in for a second opinion! Order food so it is ready for you when you are done with your appointment. Print out an expense report for tax purposes and send it or fax it to you. Provide referrals to other health professionals and businesses, based on your particular needs. #1 THE "ALL-ON-4 PROCEDURE WORKS! We have seen Dental Implant practices use terms such as “Free Dental Implants”, “Low-Cost Dental Implants”, and “Cheap Dental Implants in an apparent effort to deceive patients. At the Golpa Dental Implant Center, while we have lowered our fees during theses economic times, we feel that our quality, experience and reputation speak for themselves. Let’s face it sometimes you get what you pay for, and what seems like a bargain can end up costing you more in aggravation, pain and suffering. How long has the Dentist or Practice been performing Dental Implant, Cosmetic, or Full-Mouth Reconstruction Procedures? What are the Dentist's credentials, how much advanced training have they received? Does the Dentist or Practice have Before and After photos of Actual Patients? Many Dentists have stock photos! 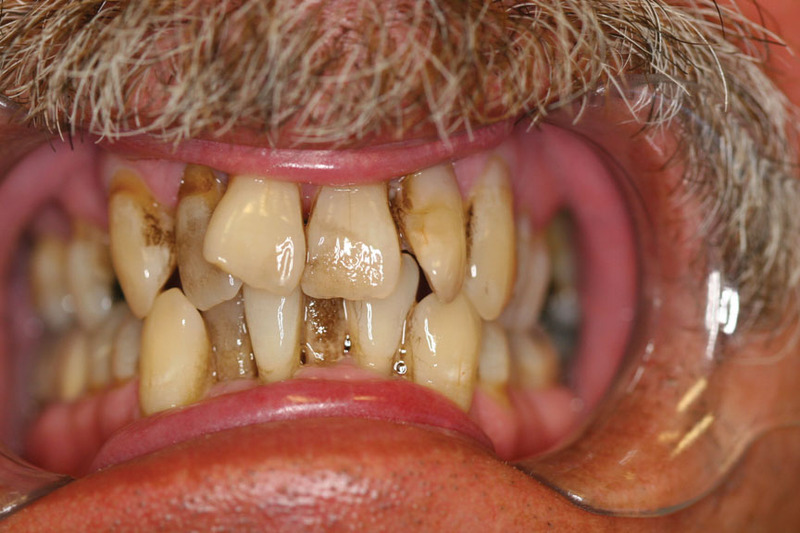 If a Dentist can not provide actual Before and After Photos-BEWARE! Can the Dentist or Practice put you in contact with their Patients, so you can personally ask questions about their experiences? Ask the patient sitting next to you! Look into the reputation of the Dentist or Practice, are they respected in the Dental Community? Google™ the Dentist or Practice names, Check the Nevada Dental Board. Does the office have the latest technology, state-of-the art equipment, a professional staff, and an appealing ambience? Dr. Golpa spends a considerable amount of time correcting the mistakes made, when Patients tried the “bargain brand” or are unsatisfied by a “one-size-fits-all” approach. Unfortunately, this results in increased costs and aggravation for the Patient who took a “chance” with an inexperienced or unscrupulous Dentist or Practice.